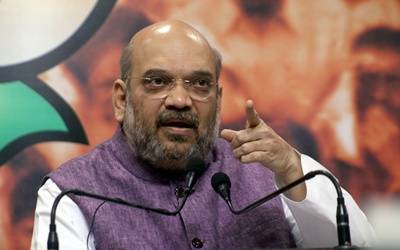 Panaji, Feb 12 (IANS) Bharatiya Janata Party (BJP) national President Amit Shah’s "real" mission during his Goa visit on Saturday was to take away files related to the Rafale deal from Chief Minister Manohar Parrikar’s bedroom, Goa Congress spokesperson Jitendra Deshprabhu alleged on Tuesday. "The Congress alleges that (Shah’s) Goa visit was to collect the files at Chief Minister Manohar Parrikar’s home… The files were taken away. Once the files are taken away, they (Shah and the BJP) can be at peace and they can then sack Manohar Parrikar, who can no longer blackmail the top leadership now," Deshprabhu alleged at a press conference organised at the opposition party’s state headquarters. "It is possible that a few documents have slipped from there. Because N. Ram (of The Hindu) is quoting documents. Documents are also being sourced from other places. Where are they coming from? Amit Shah’s job was to clear files from Parrikar’s bedroom so that their scam is not exposed," he added.